Being the most trusted & convenient source of Runescape Gold, we aim to cover the whole spectrum of popular payment methods, and one of those is Litecoin. We’re happy to announce that you can Buy Runescape Gold with Litecoin, and this article is to show you how. So, strap yourself in – and enjoy your OSRS Gold for LTC! Before we jump into getting your OSRS Runescape for Litecoin, there’s a few steps we have to take first (but don’t worry – we’ll get through them so fast you won’t even notice!) First, you’re going to have to create an account with a LTC selling company. After searching the internet, we’ve come across our personal favourite, coinbase. To start buying Litecoins (to buy OSRS Gold with LTC), you’re going to have to create an account with Coinbase, which you can do so at www.coinbase.com/signup . Once you’ve signed up, and completed any needed confirmation – its time to start buying LTC! The last step before we start buying Litecoin, is to connect either your Bank account, credit card or debit card with your newly made Coinbase account. To do that, head over to www.coinbase.com/payment_methods and successfully link your account or card. We can finally start buying Litecoin now! First, go to www.coinbase.com/buy , and after selecting Litecoin, and going through the prompts, you successfully have Litecoins! Finally – we’re here! To start ordering your gold, and buy RS Gold with LTC, head over to our OSRS Gold webpage at www.rsgoldmine.com/buy-runescape-gold . Once you’ve arrived, you’ll be met with our user-friendly interface for you to play around with. 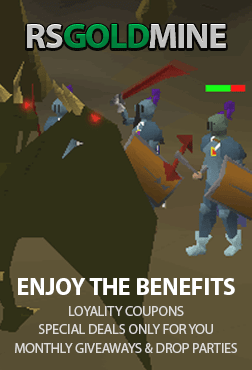 After you’ve decided on your desired amount of OSRS Gold, as well as entered in your Runescape username, hit the green ‘Buy Now’ button, to proceed to checkout. Yes – you’re gold is very close to being in your Runescape account! Now all the hard work is done, all we have to do is pay for OSRS RS with Litecoin. At the checkout page, you’ll be met with a plethora of options to pick your payment method, and all you have to do is find and select “Litecoin.” Once that’s done (and you’ve confirmed your RSN & Gold amount), press the Checkout button, complete any further confirmation, and congratulations – you’re done! This is the moment you’ve been waiting for. You’re eager to receive your gold, and we’re excited for you! To get your gold, open up our live chat widget (which you can find in the bottom right hand corner of our webpage). You’ll instantly be connected with our team, who have your gold waiting for you to collect! They’ll organize the meetup, and you can sit back and relax. And there you have it – you can now Buy OSRS Gold with LTC!